Have you seen all of the fake pages on the internet that look like a news article or product listing from a reputable site? Well, here is how they do it. 2) Copy this code into your address bar and press enter. 3) Just edit like a normal document. You can add/delete things, and even copy and paste! **Note: Changes that you make to website cannot be seen by other people. There is no way of saving these changes or overwriting files on a server. Ferrofluids are really cool. They are liquids that change properties when introduced to a magnetic field. They have been a big part of some recent research on things varying from space shuttles to body armor! 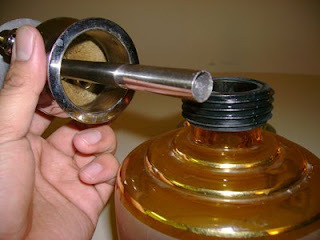 Usually they are very expensive and complicated to make, but we have found a way to make a simple mid-quality ferrfluid out of household items quickly, easily and very affordably. You probably have all of the materials at home, and it can be done with little to no effort or time. 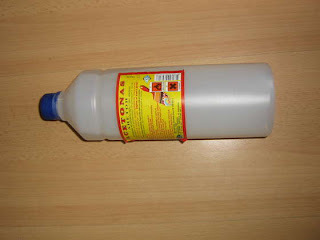 Acetone is high flammable so be careful with it. 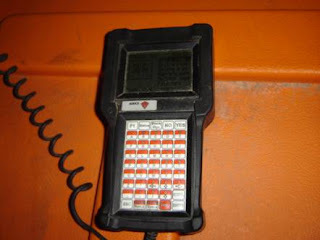 You can get it at most department stores or beauty supply shops..
---10 music tapes or 4 video tapes. 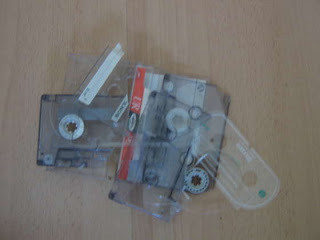 Music or video records tapes. You can get these oldies almost anywhere. You probably have a few laying around your house. ---5ml/0.2 fl. oz. 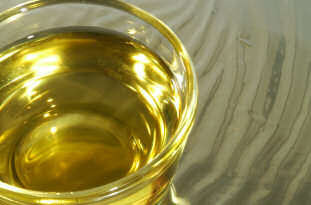 Cooking oil. 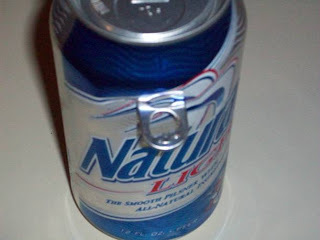 You can get it from any speaker in your house... Be ingenious... Or look online for some neodymium magnets. The tape itself is actually very simple. 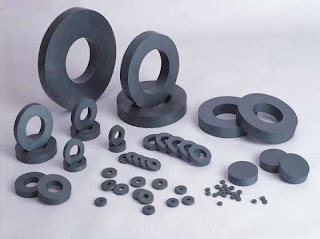 It consists of a thin plastic base material, and bonded to this base is a coating of ferric oxide powder. 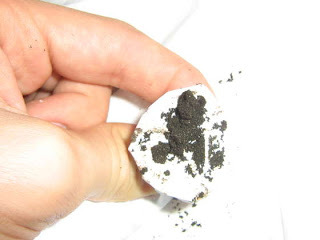 The oxide is normally mixed with a binder to attach it to the plastic. It also includes some sort of dry lubricant to avoid wearing out the recorder. 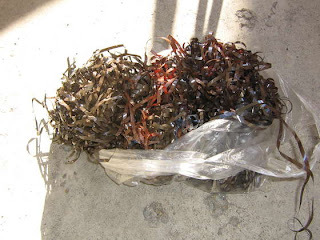 We need separate Ferric oxide from plastic tapes. Acetone will melt the binder and separate Ferric oxide. But first we need to smash and break tapes! Find a big bowl. Put all tapes in it and fill the bowl with acetone. Wait few hours. You can close bowl with something for a better effect. Make sure that you are in a well ventilated area away from open flames! Acetone is dangerous- read the bottle. Get a magnet. 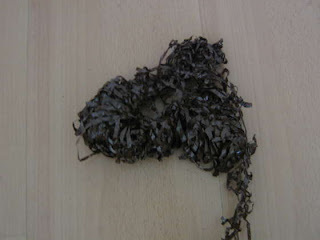 Roll it with paper (paper is needed to separate ferric oxide from magnet). Collect all your Fe2O3. Let it air dry and put it in a safe place. 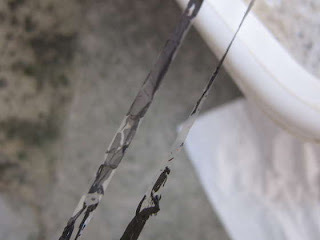 If all of the oxide did not separate from the tape, you can repeat the procedure with acetone few time to have a better effect. 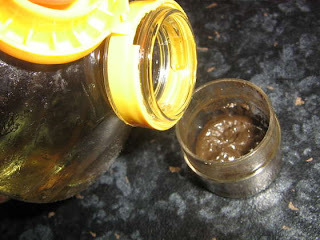 Mix three parts ferric oxide with one part cooking oil. 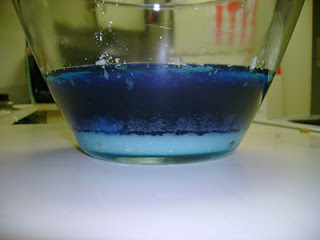 If it's to viscous add a drop of water and a drop of dish soap and mix everything again. It will be good. 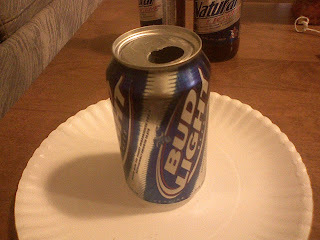 Remember to strongly magnetize the liquid. The stronger magnet that you use, the better the effect. Voila! You are done. 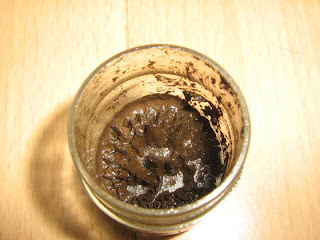 You have a mid-quality ferrofluid that only costs about a dollar to make. Have fun! This situation has happened to all of us- you and your friends want to listen to some music on your smartphone/iPod/iPhone but you don't have any speakers laying around. The downward-facing speakers built in just aren't loud enough to play music for everyone to hear over background noise. Good news! 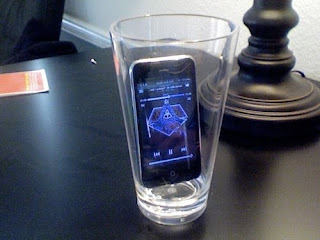 There is an easy solution, just drop your iPhone, smartphone or mp3 player into an empty glass. When placed onto a hard surface, the glass amplifies both bass and volume so that everyone can hear. We have personally tested this in noisy kitchens, backyards, and even running water. The volume is significantly and instantly increased to a decent level. What do these two objects have in common? They can both become your vessel for a superior smoking experience! 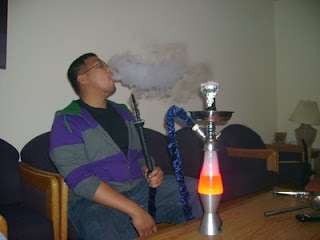 In a previous Hookah Love Blog post, my buddy Christophanes busted the myths that surround small and tall hookahs. I will add to the argument that a tall hookah is not always necessarily better. For example, the Mya Chic Hookah, which was meant to be portable, versatile and reliable, is one of many products on Hookah-Shisha.com that carries their stamp-of-approval to provide you with an enjoyable hookah experience, regardless of size. 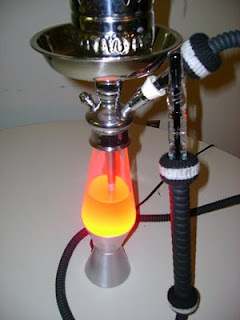 But a major concern with most hookah owners is aesthetics. Tall or novelty hookahs look cooler, which is the appeal of most people. Well, if you own a Mya Chic, or any hookah that has a female-fitting stem, then you’re in luck because in this article I, Tatum Vay, will show you how to transform that Mya Chic into an awesome Lava Lamp Hookah that will leave your tall-hookah-owning friends in envy! The Mya Chic’s female-fitting stem. Notice how the stem fits “over” the base. Follow my lead young Padawan. Notice that the globe is topped off by a bottle cap. 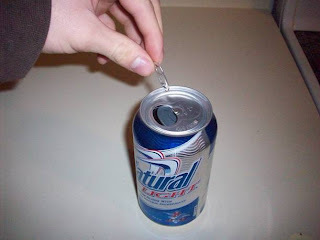 You can pop this off easily later to drain the liquid out. But first, start by heating up your lava lamp. Not a delicious soda pop. Do not drink! 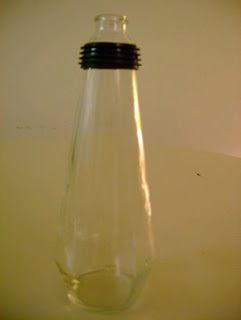 If you are using an old lava lamp without a working “lamp” then do the following: Find a container that can hold enough water to cover 2/3 of the globe. Fill it up with hot water. You’re going to have to keep replacing the water until the liquid starts to flow, or find another way to gradually heat the lamp. IMPORTANT: Do NOT by any means heat the glass on a stovetop, oven, or microwave. 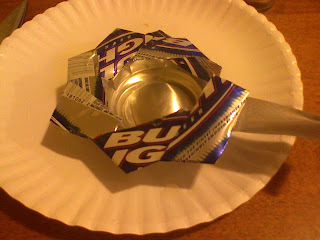 This can cause the glass to explode and could be potentially fatal (as seen on Mythbusters on the Discovery Channel). Now, remember that bottle cap at the top? We’re going to remove it. Put on some gloves to protect you from the heat of the globe and shake the globe vigorously to mix the two components together. 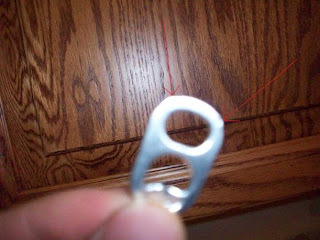 Remove the bottle cap with your bottle opener and drain the entire thing into your heat-proof vessel. Don’t forget the gloves! This is a re-enactment so it’s not hot. 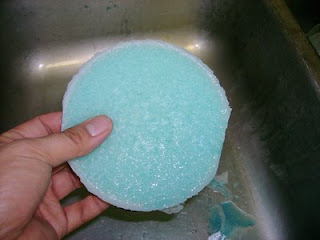 Let it cool down so you can remove the solid part and throw it out (you don’t want to dump that into your drain and let the wax solidify and clog things up for you). 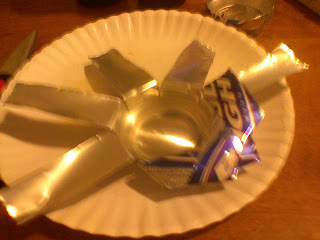 Throw this in the trash so it doesn’t clog your pipes. 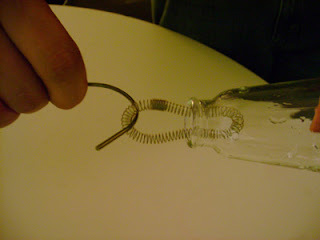 Now using a bent coat hanger or hook, catch the metal coil and pull it through the opening of the glass. Discard it or decorate it and sell it as a bracelet. Your choice. Now rinse your globe thoroughly with water. Then with dish-washing detergent and water. Then rinse it with water again. Then with lemon juice. Then with baking soda. 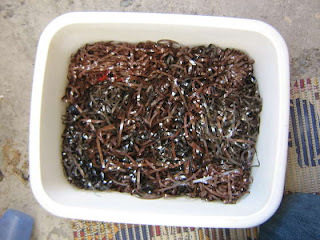 Then with water. Then with detergent and water… you get the point? This should be repeated until there are no chemical smells in it at all. 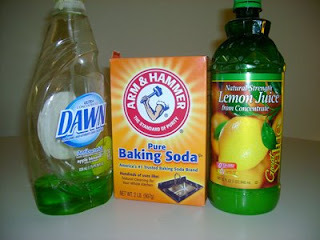 After all the rinsing, fill the globe up with lemon juice, baking soda, and water and let it sit. Now, we need to extend the length of the downstem of the Mya Chic because we need it to be long enough so that the bottom is about a half-an-inch underneath the surface of the water. However, we don’t want the water to fill up the majority of the base, giving less room for smoke. 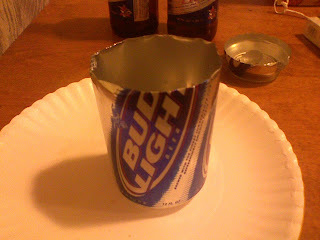 I have achieved this with an empty soda can. We are going to cut out a long piece and roll it up to make it an extension of the stem. 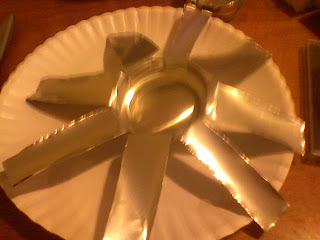 Cut off the top part and the bottom part so you have a flat “sheet.” Carefully, without cutting yourself, roll this up so that it fits into the stem. It will naturally want to unroll, which will make it conform to the size of your stem and keep it airtight so no smoke will escape during the pull. A rolled up soda can makes a nice extension for your downstem. If you prefer to go the extra distance and find some kind of tubing that will fit your downstem, then by all means go ahead. Make sure it won’t be anything that will react negatively to the heat of the lamp at the bottom. Rinse out the globe one more time. Take the grommet that fits around the base of the Mya Chic and work it around the opening of the lava lamp. 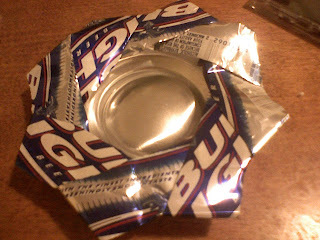 This will create the perfect seal needed for your super-smoking hookah. 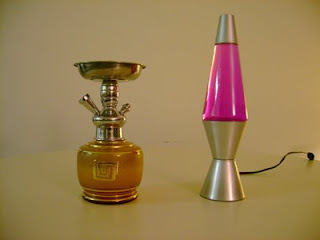 The next part is very simple; just place the stem of the Mya Chic onto the Lava Lamp. Check for the appropriate seal and make sure the stem is extended enough into the globe. Place the globe back onto the lamp base. Now you can remove the stem and fill the lava lamp up like usual, put the stem back on and start smoking. 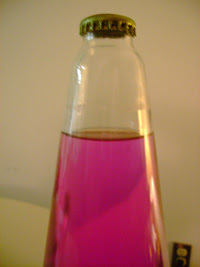 But let’s talk about base liquids: It’s a lava lamp, it’s meant to be colorful and fun! So why not use some blue sports drink? 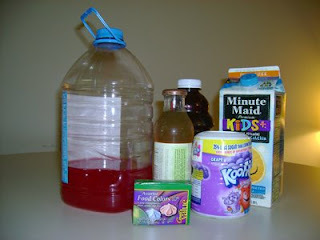 Or maybe some Kool-Aid or fruit punch? 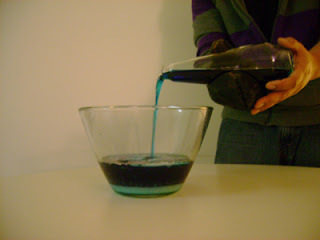 If you feel silly about using juice for the liquid, pick up some food coloring. Whatever you do you’ll want there to be color when you turn the light on. Why else have a lava lamp hookah? Choises, choises. Is it in you? I know what a lot of people are asking: “Won’t the lamp make the water hot and make the smoke harsh?” Well, whatever myths about this you might have heard can be busted. I’ve smoked three sessions in a row with a phunnel bowl (almost four hours total) and no harshness from the heat. Also, with the removal of the metal coil, the liquid won’t heat up as much. So there you go! Pair with your favorite Nammor hookah hose, pack a phunnel bowl with some Starbuzz Blue Mist or any shisha of your choice, heat up someCoco Nara Charcoals and enjoy your new lava lamp hookah! 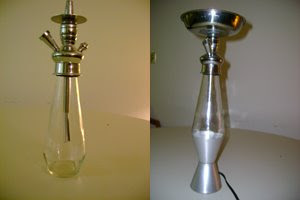 So, whether you want to spruce up your Mya Chic or just love novelty items, you can make your own lava lamp hookah and be the envy of the neighborhood. It just goes to show that size does matter, but bigger is not always better. Original article by Tatum Vay reproduced with permission from hookah-shisha.com. Hey everyone, just wanted to let you know that we have added a new site to the how2dostuff family. Check out LinkDropper for good links, fun games, and cool videos. E-mail them at linkdropper@gmail.com if you have any suggestions. Also, we have some good updates for How2DoStuff in the works, so keep checking back. The first step in making a perfect cup of coffee is to select your beans. 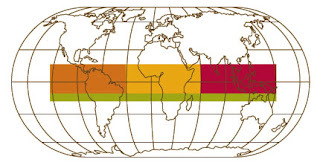 Coffee is grown in three majors regions in the world: Central/South America, Africa, and Indonesia. Personally, I think that South American coffees have a sweeter taste, African coffees have citrus or floral flavors, and Indonesian coffees have spicier flavors. Find a coffee that you like, but don’t be afraid to experiment and try new things. Always buy your coffee whole-bean and as freshly roasted as possible. Roasted coffee can stale very quickly. The peak of coffee freshness is about as long as the shelf-life of a loaf of bread. That being said, the best place to buy your coffee is at small, local specialty coffee shops that roast their own beans. Store your beans in an airtight container, but be sure to open it at least once a day to release carbon-dioxide buildup. Your brewing method of choice is also very important. Most coffee purists (including myself) will tell you that the best way to brew coffee is by using an immersion method of brewing. Unlike conventional drip brewing methods, the coffee grounds are mixed into the hot water and then filtered out. 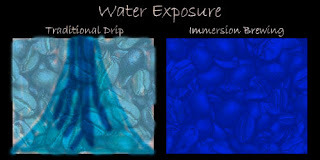 This gives the coffee the highest possible water to coffee exposure possible. 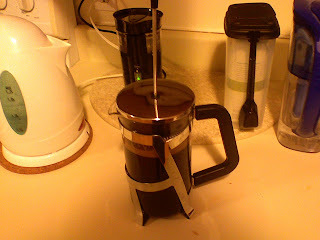 That being said, the method we will be discussing is the French Press. 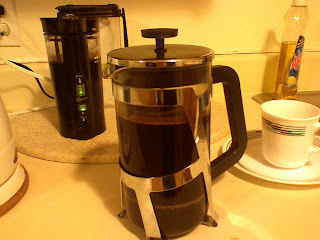 A French Press is a simple device used for immersion brewing that can be found at many stores for a low price, I am using a Bodum French Press which I highly recommend. 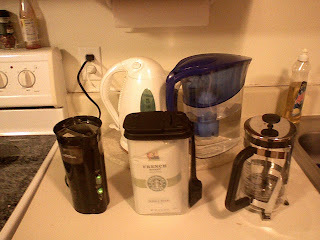 I will also be using a electric water kettle, blade coffee grinder and Brita filtered water pitcher. 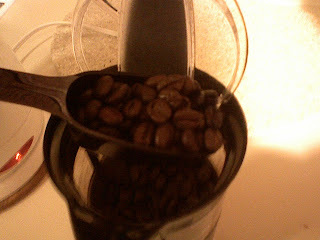 First I will grind the coffee beans. There are two basic types of coffee grinder; blade and burr. A blade grinder works by spinning a blade at the bottom of the grinding chamber at a high speed. A burr coffee grinder has a coffee chamber at the top where the coffee beans move from the chamber between a set of grinding wheels and into the bottom for collection. A burr coffee grinder gives a much better, more even grind that requires less maintenance and cleanup, but they are much more expensive. 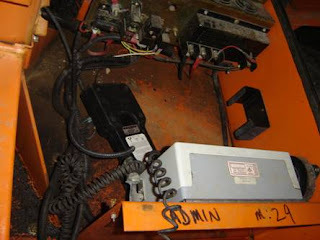 A blade grinder can be found for relatively cheap, which is why it is what I am using. For every six-ounce cup of coffee that we will be making, you want to add a level two-tablespoon scoop of whole coffee beans. Grind until you achieve a coarse grind, which is what is recommended for immersion brewing. Next we want to heat the water. 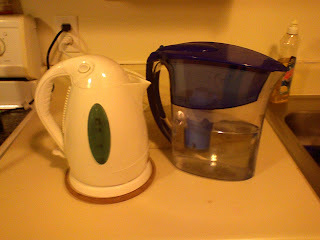 I use filtered water from a Brita water pitcher. I would not recommend using tap or distilled water. The target temperature for brewing is 190 degrees Fahrenheit. A good rule-of-thumb is that this is about fifteen seconds off of a boil. 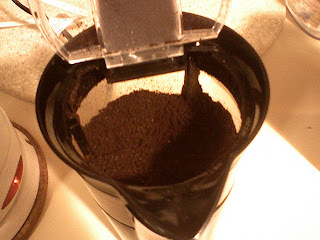 Add your coffee grinds to the bottom of your French Press. Pour the hot water on top of the grinds up the level that is marked on the side of the French Press. 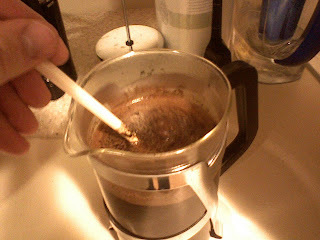 Stir to mix evenly using something that is not metal so that you do not scratch or chip the glass on the French Press. I like to use a plastic chopstick. Place the top of the French Press on and left sit for four minutes to brew. After four minutes has passed, press the plunger down and pour your coffee into your serving vessel of choice. 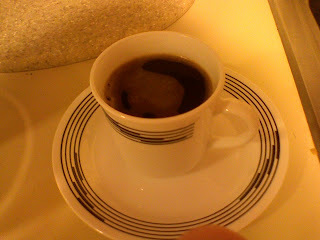 I like to drink my coffee black with no sugar, but you can add cream or sugar if you would like. Try adding warm milk and vanilla for a latte, premade hot chocolate for a mocha, or frothed milk and sugar for a cappuccino. First take your can of beer and drink at least ¼ of the beer. 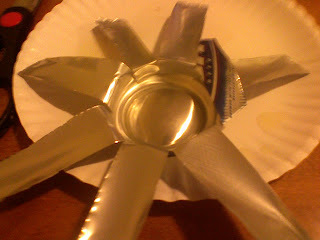 Next take off the top of the can by shifting it back and forth until it comes off. Next, notice that the top of the tap has two little jagged edges on the top. This is important for the next step. 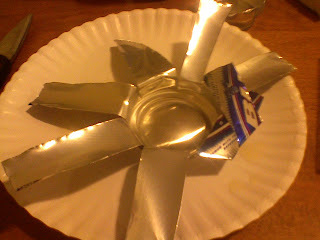 Next use one of the top edges of the tap and rub it back and forth until it cuts a slit into the top of the can. 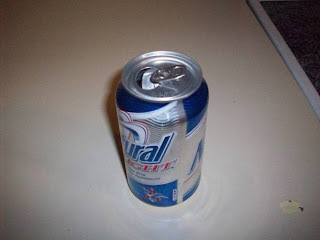 The tap should then rest in the top of the can and enjoy your nice delicious cold flowing brew. Should it ask you for a password. Try “DOTS”, the default password. In all likelihood, the crew will not have changed the password. However if they did, never fear. Hold “Control” and “Shift” and while holding, enter “DIPY”. 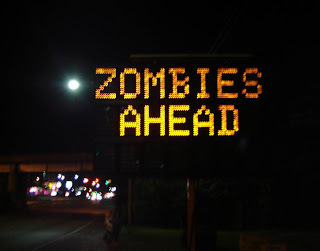 This will reset the sign and reset the password to “DOTS” in the process. You’re in! Article reproduced with permission from i-hacked.com. 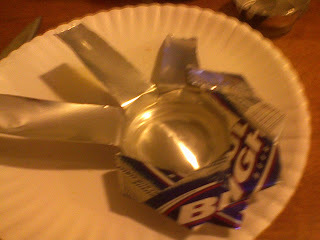 Here is a quick article on how to make a beer can ashtray. 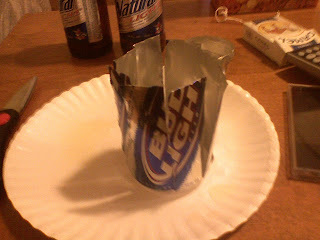 They work pretty well in a pinch for gifts or decoration, and also make a pretty good party trick. 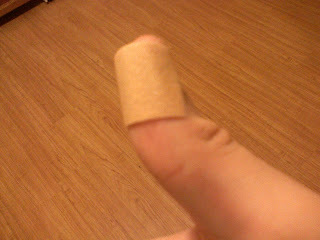 Be really careful with this one, I cut myself on the sharp aluminum pretty badly. You might want to wear a thick pair of gardening gloves for protection. 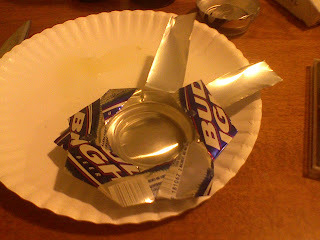 Start with a beer can. Drink the beer. 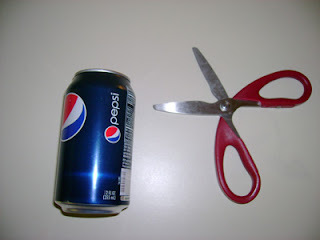 Cut the top off right where the can begins to straighten out (about an inch from the top). 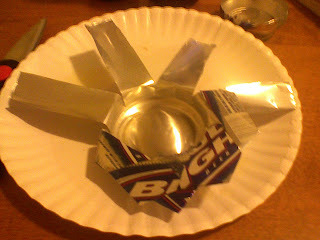 Snip the can from top to bottom into eight even strips. 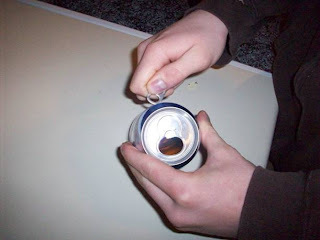 Start by pinching the can in half and making two pieces, pinch again to make four, and once more to make eight. You can vary the number of strips to achieve a different effect, but I like to use eight. Spread out the strips to make a star pattern. Take your first strip and fold it over the strip beside it, and below the next one. 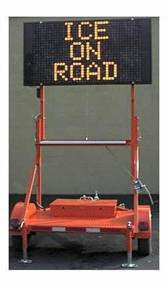 See the picture below for an example. Continue folding the strips all the way around by tucking a strip below the next strip. Make sure that it goes over the end of the previous strip. Continue around the can until you have only one strip remaining. Take the final strip and tuck it below the first strip. Make sure to go above the previous strip and under the first. If it does not fit, you may need to pull the first strip back a little bit. Enjoy your new ashtray. Make sure to comment, and post any ideas you might have.